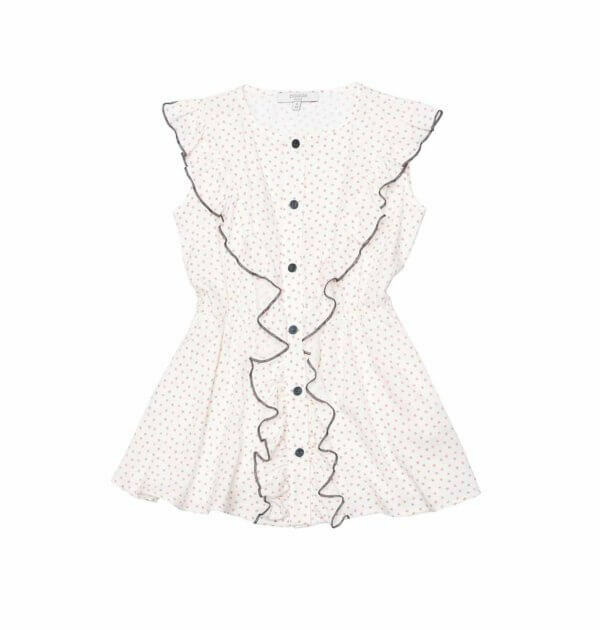 Ruffle Dress Dots by Paade Mode, made from soft viscose. 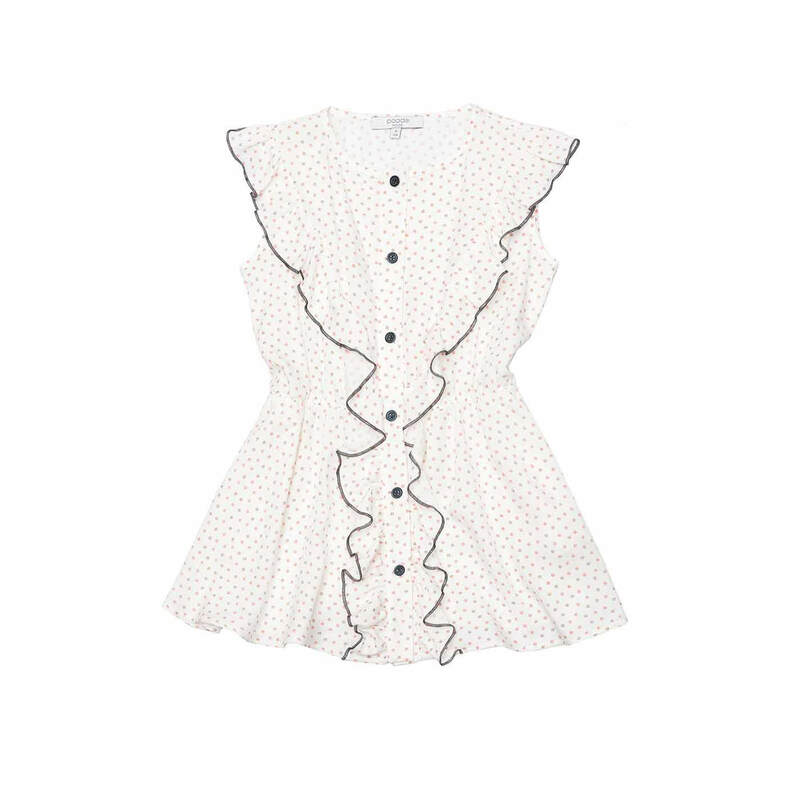 The white dress features tiny dots in pastel colors and big ruffles along the front and back side. A button placket decorates the front of the dress. A cute and feminine summer must have.